As an RV owner and traveler, I want to make sure that we’ll enjoy our trips without hassle. Some of the problems we might face are a loss of water, flat tires, or loss of power. So far, the worst thing that happened was that we couldn’t use the air conditioner because we were running low and we had no way to plug into a power source. One time we went dry camping, and we were confident that we’ll have enough power. You see, we got the best RV generator, and we’ve had it for years now. Whenever we go somewhere, we make sure that our RV generator is fully charged so we can use it for emergency power supply. RV living is a bit complicated but worthwhile. You just need to be responsible enough and make sure everything is in order before you travel. In most cases, you can always go to a campground and plug into their power source. However, there are some instances that campgrounds are full, so it’s better to be well-prepared. In this article, I’d like to share with you some tips especially on how to charge the RV generator even while driving. I’ll also share with you other advice on how you can charge your RV battery. It’s summertime once again and I suddenly realized that my car’s window tint was not dark enough to protect me from the harsh sunlight. When I drive out during the afternoon, I could feel the heat of the sun burning on my face. Imagine, I had to wear sunblock even though I was just inside the car! So, I decided to embark on a project to remove my window car tint so I can install new and darker ones. I also noticed that some of it had air bubbles inside them - definitely time to get them out. Airbags are meant to provide safety in cases of collision. It prevents the driver and passenger from injuries such as head and neck injuries during accidents. The airbag system was installed for a purpose so vehicle owners should not disable them. However, there are instances wherein you need to know how to disable airbag system. I have this 5-year-old car that I am thinking of customizing. When I bought it, I thought that it had all the things that I needed. But I realized that as I use it every day, there are things that I want to upgrade or change to make it look and feel better. I’m not into car racing or displaying my car in car shows, but I would like to have the perks when it comes to my car. You know - great sound system, amazing mag wheels, maybe a few designs on the hood. Your car’s battery is the life of the car – without it, your car will not function. This is the reason why we need to take care of our car’s battery and even how we use our car. Our driving habits may hurt our car’s battery. At some point in our lives, we need to learn how to jump start a car. Even if we properly maintain our car, you’ve not ever know when you may need to jump start your car or lend a helping hand. Not only that but it would also be a good idea to purchase jump starter product﻿﻿﻿﻿s such as a jump starter cable and a portable jump starter. Who knows when you may need to jump start your car or lend a helping hand? You’ll be thankful that you have the knowledge on how to jump start a vehicle. The idea for this article came about when my friend decided to sell his 10-year-old car. So, he asked me to check the car like I was the buyer and asked me if it was worth the price. I found it pretty well-maintained except for the engine. I had the chance to carpool with a friend and I learned something new in the process. When he started the car, I noticed that the engine sounded as if the gas pedal was depressed. I looked at the RPM and saw that the idling was at 2000 RPM. I found that really unusual so I did some research. I found out that one of the reasons for ﻿﻿high idling is a problem with the idle air control valve. As a regular driver, the next best thing you need are the best car speakers. Good surround sound will accompany you during long drives and heavy traffic. No matter if you have an old car or a brand new one, a good sound system brings life to your vehicle. The idea for this article came up when one of our long-time customers came in and asked for assistance in changing the car speakers. He shared that he had a teenage son who borrows his car and for some reason, the speakers always get damaged after a few months. He has tried different brands of speakers, but they always seem not to last long. So, we recommended a few products to our customer plus some tips. 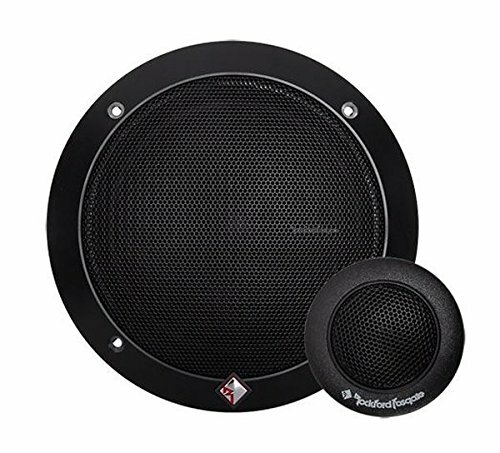 Rockford R1675S R1 Prime 6.75-Inch as one of the best car speakers. Rockford Fosgate is known for high-quality sound systems especially for automobiles, so there’s no doubt about the clear sound quality that you’ll get with this one. The stereo comes out clear and crisp. The bass also sounds very clear and gives you that extra beat. Why does My Car Idle High and How to Solve the Problem? An engine’s idle is like the heartbeat of the human body. Just one abnormal or unusual sound, and you know that there is some problem with it. Cars tend to idle high, low, or rough. But in this article, I’m only going to talk at length about the most frequently asked question. Why does my car idle high? A problem under your vehicle’s hood is not good news. During such times, the chances of the car’s idle speed along with quality being subjected to damage are highly likely. This means that issues related to idle speed are warning signs. So let’s find out the causes and everything else you need to know about idle speed problems. Your car’s engine is the life of your vehicle; without it, your car will not function. Car owners should take extra care and make sure that the engines are clean and kept in the best condition. As time goes by, carbon deposits, sludge, and grime may get in your engines, which affects fuel efficiency and your vehicle’s overall performance. One of the overlooked parts is the intake manifold. You might be wondering, what is an intake manifold? When I was interviewing people and asking them what they knew about the intake manifold, they had this puzzled look on their faces. That was my first reaction as I was speaking to a mechanic.